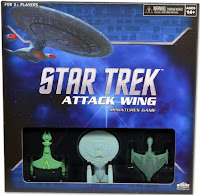 Michael brought along his Star Trek Attack Wing game at the last meeting of the Sutherland Shire Gamers. It has similar mechanics to X-Wing but a lot of differences as well. This became a 4 player game, Michael taking a Federation ship, Steve taking none other than Captain Picard, Craig taking a Romulan ship, and I had a Klingon ship. There was plenty of variety between each vessel. The game was easily picked up by everyone (only Michael had played it before), and after a brief intro to the rules, we started. 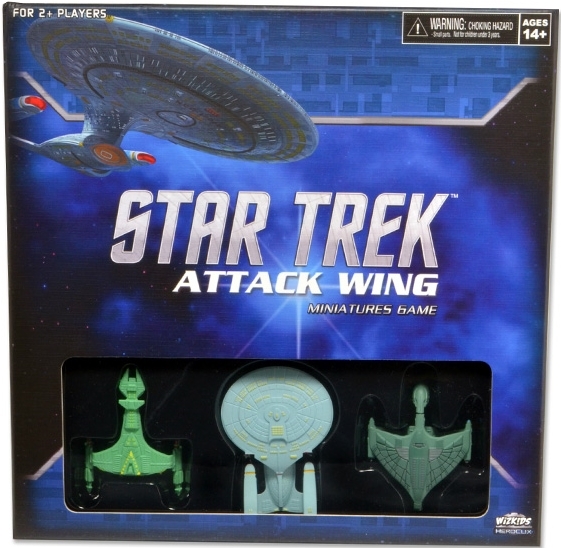 The Romulan and Klingon ship began the game cloaked. This is the first time I played the game, and despite the similar mechanics, it felt different to X-Wing. I think overall ships had more attack dice and less evade dice than X-Wing. This showed in many attacks crippling the enemy when a lot of hits were rolled at once. Anyway, it would be good to play this again.